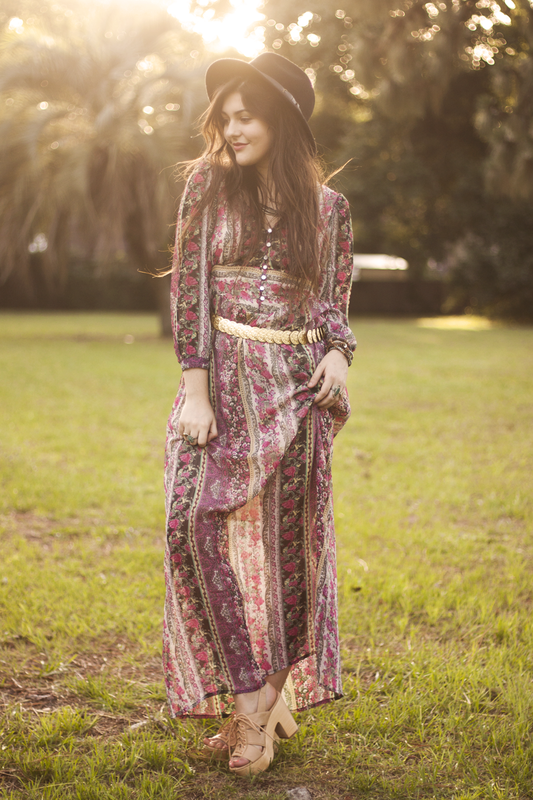 Wearing: TJ Maxx dress, Nasty Gal sandals, Thrifted belt, Forever 21 hat, assorted jewelry. 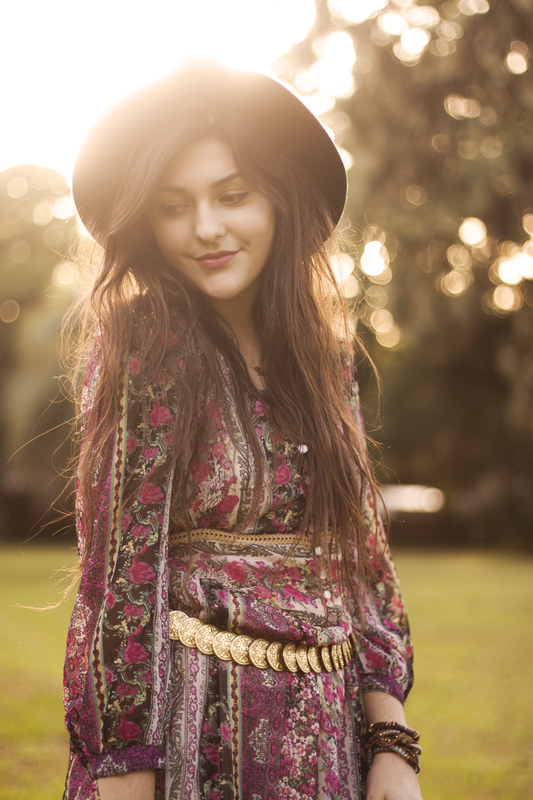 I think everyone knows by now that I love myself a good bohemian look. 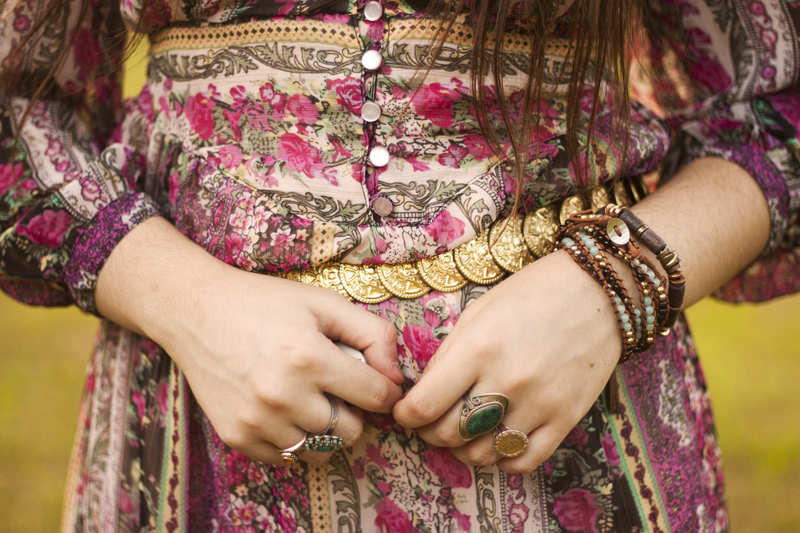 I'm always adding new boho pieces to my closet and along with that, new classic rock albums to my record collection. Well, the other day I decided to go into TJ Maxx, as I haven't been in there in quite some time, and I was just expecting to browse around, but not expecting to score myself the PERFECT bohemian dress! What's even better, is that when I usually see a quality made dress like this, its quite expensive. I was expecting this dress to probably be about $50, with that amazing print, and the details with the buttons and the open back and tie. 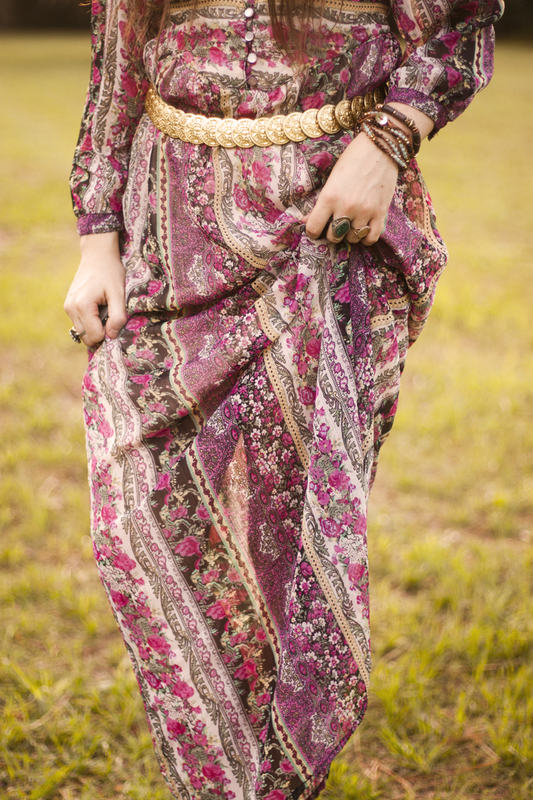 It looks like something from Free People for sure, so I was definitely preparing to dish out some cash for this beauty, but when I looked at the tag, it was only $20! Long story short, I have to say that I'm so happy I walked into my local TJ Maxx and found this lovely gem, and while I was in there I saw so many other lovely things! I only had a $25 gift card on me that I had as a graduation present, so I only bought this. But if I would've had some more cash, I for sure would have had a full cart at the checkout. As for the dress itself, I was a little hesitant on it's purchase at first, wondering if I would have to wait 'til Fall to wear it with it's long sleeves. I bought it anyways, and when I wore it the next day, in this dreadful summer heat, I was pleased to find that it's still a perfect summer dress, and I will honestly be wearing it all summer. 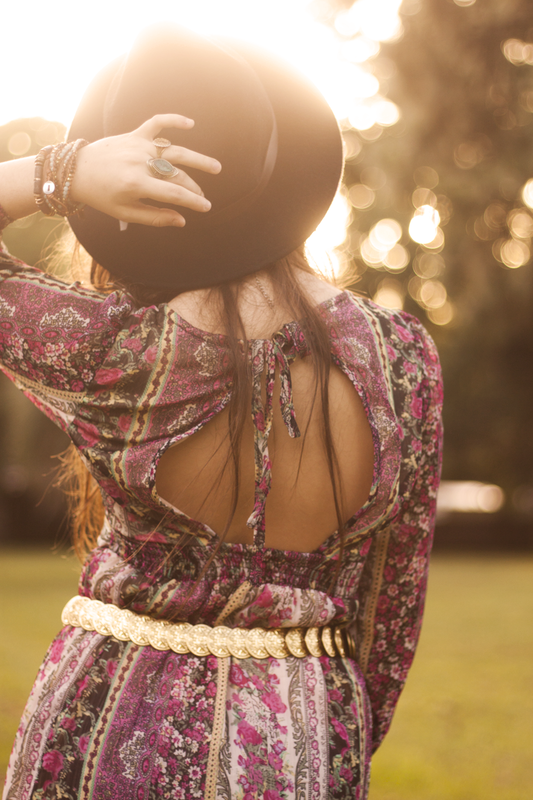 I love the bohemian look for my summers, it just goes so perfectly with my everyday summer life of road trips and blaring the album "Exile on Main St." by The Rolling Stones. This August when I road trip up to Atlanta, I'll definitely bring along this dress for a cute and comfy boho look for that long drive. 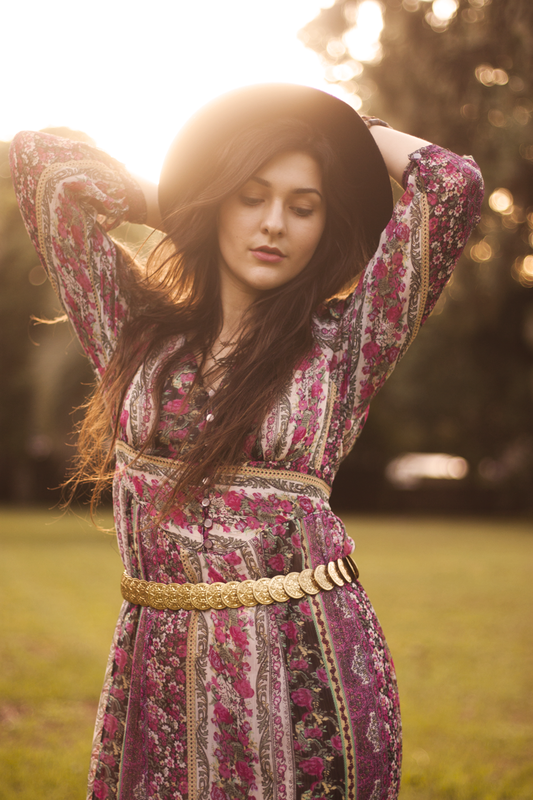 Oh, and I totally feel like Stevie Nicks in this dress. That's enough reason right there to want to wear it everyday....am I right or am I right?! You look stunning. 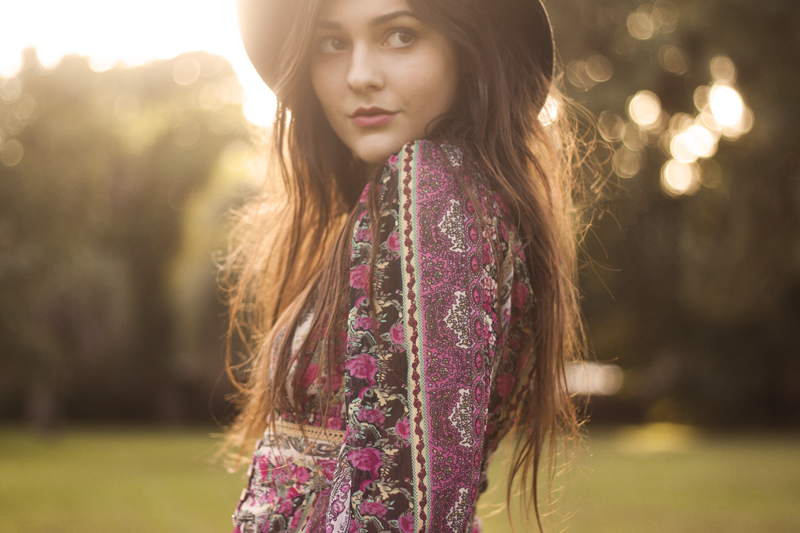 I haven't seen you wear something this boho in so long. It's a great look for you! You look fabulous and the dress is gorgeous. I love Tj Maxx! You are adorable! 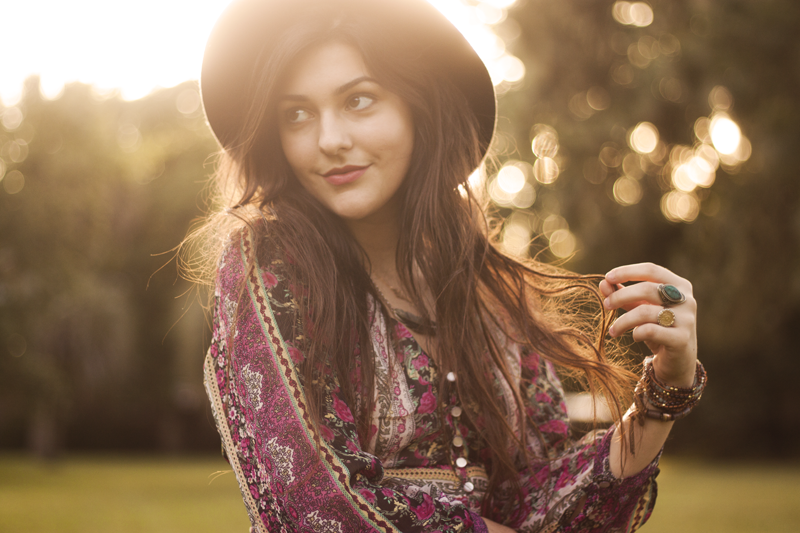 And this boho style is going straight to my summer inspiration!